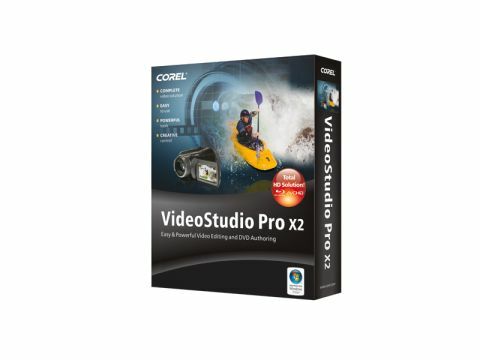 VideoStudio initially existed under the Ulead brand, but this is the second release under its new owners, Corel. The name change isn't all that's changed as there are a number of new features in this latest edition; but for the most part, it consists of updates rather than major changes to the core skills. The package is made up of a number of different tools with the VideoStudio Editor being the main tool. This latest version has full support for HDV and AVCHD, as well as Blu-ray, so you can create high-deﬁnition (HD) movies from start to ﬁnish. The interface remains largely unchanged with a heavy emphasis on being easy to use. In comparison to rival software from Pinnacle and Adobe, Corel clearly aims this package at novice users. resolution ﬁx of your footage, allowing you to edit and pull together all your clips in a less power-hungry format. Then by applying Smart Proxy the HD footage is dragged in to create the ﬁnished ﬁlm. a crawl, so you'll still need a powerful machine to ﬁnalise your movies. Output features remain the same, largely due to the previous version having full support for burning to Blu-ray as well as disc. To play your videos back there is also a full version of Corel WinDVD 9 and WinDVD Copy 6 bundled with the package. Overall, Corel hasn't changed too much in VideoStudio, so those tempted to upgrade may feel a little cheated. However, this is a great set of tools that have an easy-to-use interface that is ideal for the ﬁrst-time user.